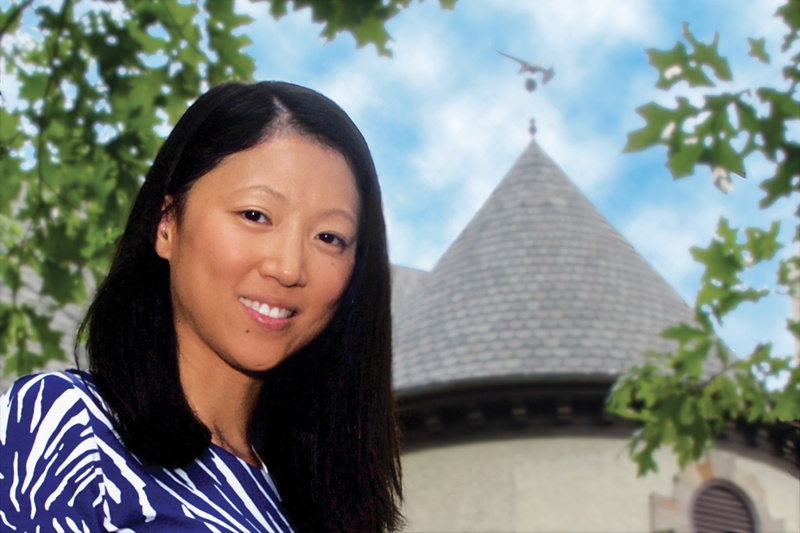 Leading the Way: Kim Chenevy is the new president of the Emory alumni Board. Kim Chenevey 02OX 04B, vice president and financial adviser with global investment banking and asset management firm William Blair, took over as president of the Emory Alumni Board (EAB) on September 1. An Atlanta resident, Chenevey joined the EAB in 2011 and served as chair of the Miller-Ward Alumni House Committee. She also has served on the Oxford College Alumni Board and is an active volunteer with the Alumni Admission Network. 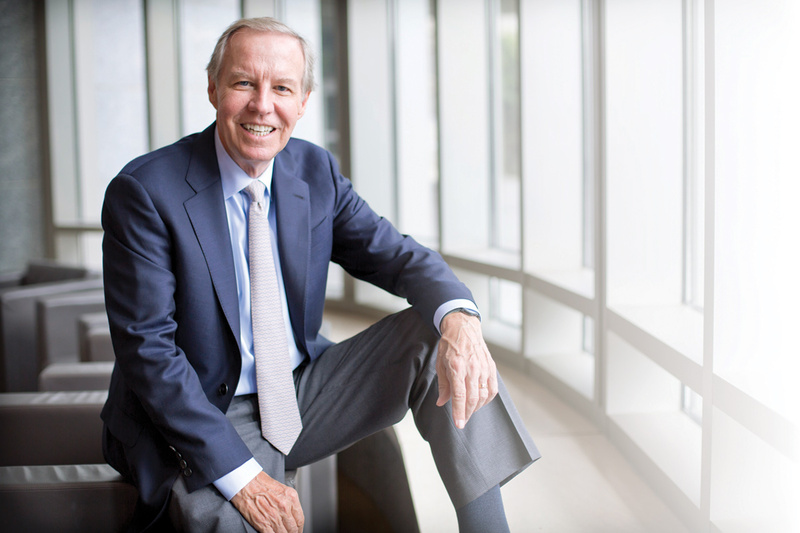 “I am thrilled to lead the Emory Alumni Board at the same time that Emory is poised to move into a new era. As alumni, we are bound to Emory through memories and nostalgia, but we also are deeply invested in its continued growth and success. 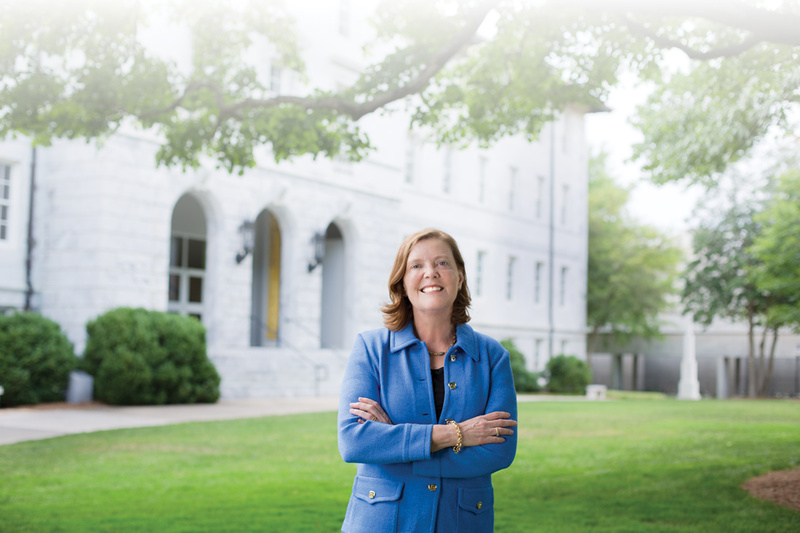 The EAB will work this year to support Emory’s new president, Claire Sterk, and the initiatives that she is spearheading,” Chenevey says. “In addition to strengthening connections between campus and the community, we also will work to advance campus entrepreneurship endeavors. It is a very exciting time for Emory, and I am honored to be involved,” she adds. Student Stars: Caiwei Huang, Roe Montague, and Luis Velasquez (not pictured, Amy Van Pelt). 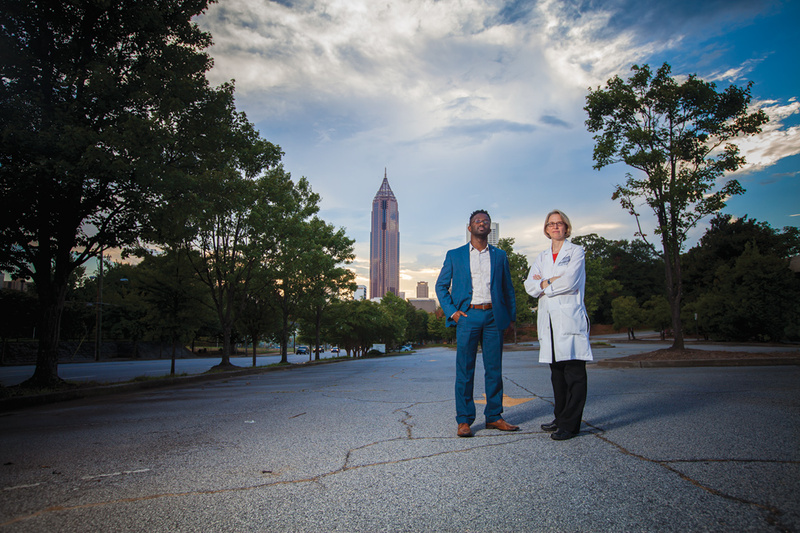 Student leaders from across disciplines are the 2016–2017 recipients of the Emory Alumni Board Leadership Scholarship. Roe Montague 16OX, a junior international studies and environmental science major, spearheaded a student-led initiative that resulted in the Oxford Inclusive Curriculum Initiative, a more inclusive, diverse, and sustainable academic curriculum. She was president of Oxford’s Black Student Alliance and Oxford Pride and is a prison advocacy coordinator for the Roots Action Education Fund. Amy Van Pelt 13OX 15C, a first-year MPH candidate in global health at Rollins School of Public Health, has been highly involved at Emory, devoting more than 1,260 hours of service locally and internationally in her efforts to serve vulnerable individuals in difficult situations. As a Volunteer Oxford coordinator, she helped establish a relationship between the college and an after-school program for Latino immigrants. As director of Volunteer Emory, she has led weekly trips to the Global Village Project, a local school for refugee girls. At Rollins, she is copresident of the Health Organization for Latin America, with outreach to El Refugio, a hospitality house for detainees, and tutoring of local Spanish speakers. Caiwei Huang, a senior political science and interdisciplinary studies major, is researching the role of subnational government in decarbonizing China’s energy sector as part of a Center for Study of Law, Politics, and Economics Fellowship. 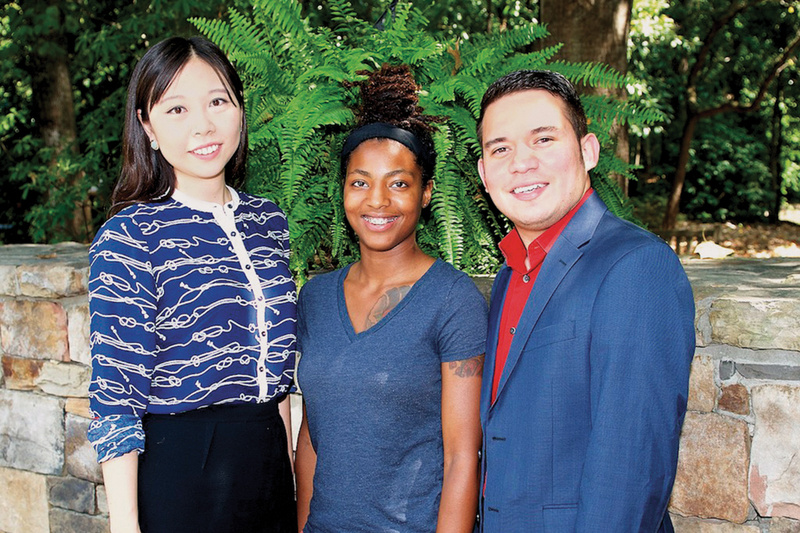 She is a research assistant in the Department of Political Science, a volunteer for the China Program at The Carter Center, and vice president of Emory’s East Asia Collective. Luis Velasquez is pursuing a master’s degree at Candler School of Theology. A native of El Salvador, his experience as an immigrant helped convince him “that theological education is vital for migrant communities because their faith is what helps them thrive in the midst of insecurity and fear.” He teaches ESL programs, classes on computer basics and GED, and Sunday school at two local churches, and he is active in the Mi Familia Center in Canton, a nonprofit organization serving migrant families. Meet and Greet: Emory President Claire E. Sterk (above, center) and her husband, Professor Kirk Elifson (far right), greet Emory community members at a campus welcome event. Sterk is traveling around the country beginning this fall to meet University alumni and talk with them about Emory's future. Enhance your career by tapping into the wealth of information in Emory’s libraries and research databases. You’ll find unlimited research potential through EBSCOhost, offering the latest full-text information in many areas of academic, business, and health fields to meet virtually any research need. Alumni must be registered members of the online community, a comprehensive suite of online services available exclusively to Emory alumni, to access these resources. Oxford Biblical Studies Online is also available. The Emory Entrepreneurs Network (EEN), a career affinity group of the Emory Alumni Association, hosts monthly networking breakfasts with special guest speakers. Christy Ware 16B works in hybrid cloud solutions and integration software for an industry leader. View EAA Career Services news and events. 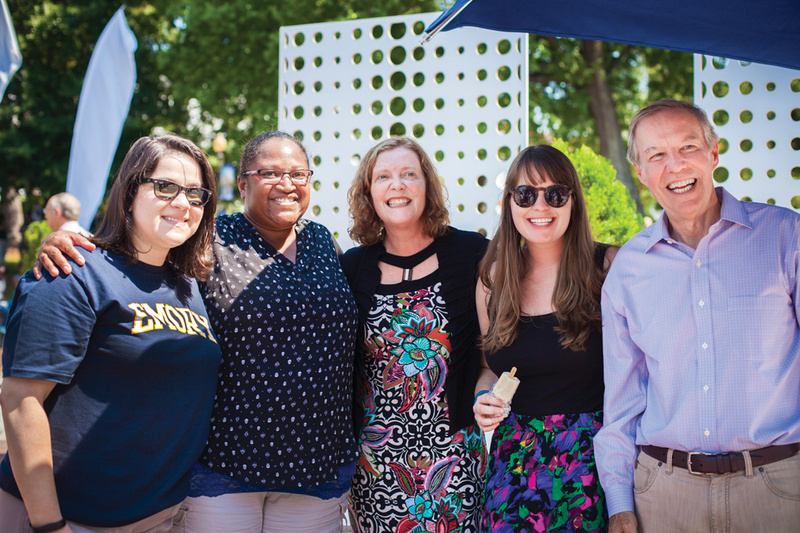 Build your Emory network today by joining the Emory Online Community and tap into the power of more than 137,000 alumni living and working around the world. You’ll be able to scan (or post) classifieds, search for online groups, and share a class note. Don't miss out on event invitations and Emory news. Update your information at the Emory Alumni website..